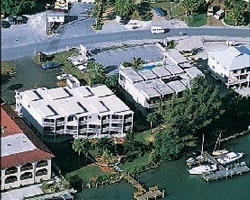 Surrounded by the Gulf of Mexico and Lemon bay is the *Englewood Beach and Yacht Club*. This waterfront resort features a 12-slip boat dock, barbecue grills, outdoor heated pool, whirlpool spa, plus spacious suites with fully equipped kitchens and balconies. Approximately 100 feet away are the sandy beaches of the Gulf, which is great for shell hunting, dolphin watching, and sunbathing. Restaurants, live entertainment, and tennis courts can also be found a short distance away. 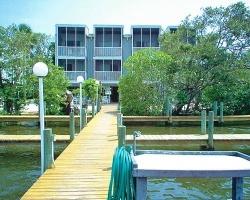 For more information about this resort, visit www.vacationfla.com. Escape to Florida in week 50! Buy now for a bargain price! You can bring your own boat!